Vacation time! Florida is like my second home so no need to follow a strict, touristy schedule. 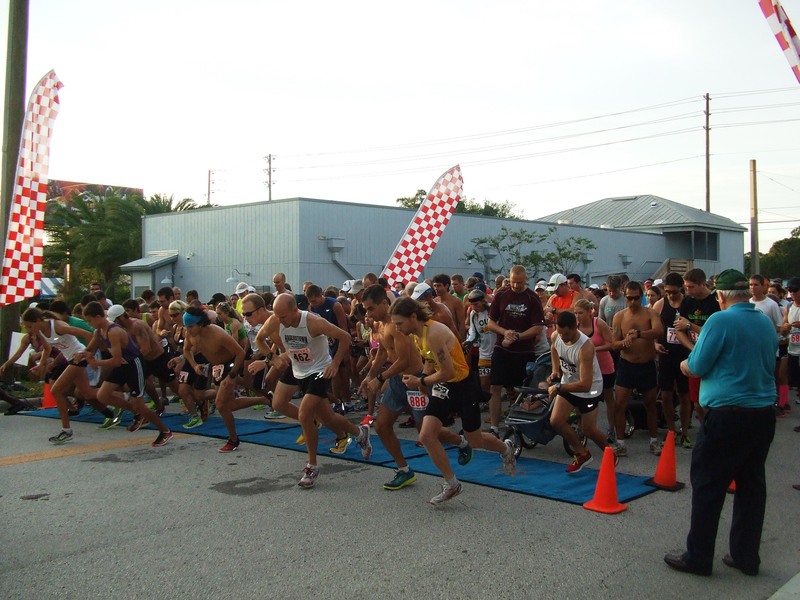 In a matter of minutes, I was able to find a race down in Clearwater. According to the organizer’s website, the proceeds would go to Jacob’s Touch which is a non-profit for families of children on the Autistic Spectrum. 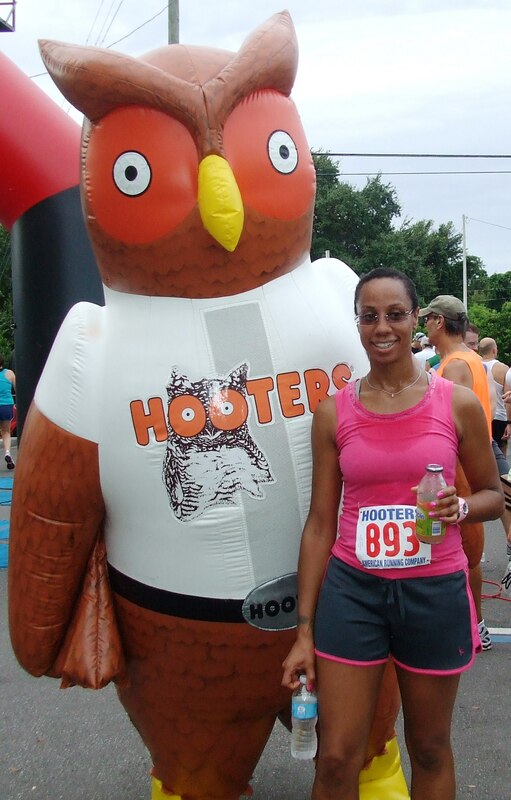 The start and finish were at the original Hooters restaurant. I go line up and notice there are markers for 6 minute, 7 minute, etc to indicated what pace to line up. I was somewhere in the 8s because I knew I couldn’t beat these sports bras, cute socks wearing girls. As the gun start goes off, I hear Theresa yelling my name. Never to miss a photo opp, I paused long enough to piss the person in back of me off. Sorry. 8 a.m. and it was 80 degrees and HUMID! I had no idea of the route other than what I searched on Google Earth. I knew we were going into a park and looping around. There was a 10k going on simultaneously but their route detoured soon after the start. The route was set up with signs saying “Smile For Photo.” I did my best to crack a smile even though I was melting in the FL heat. 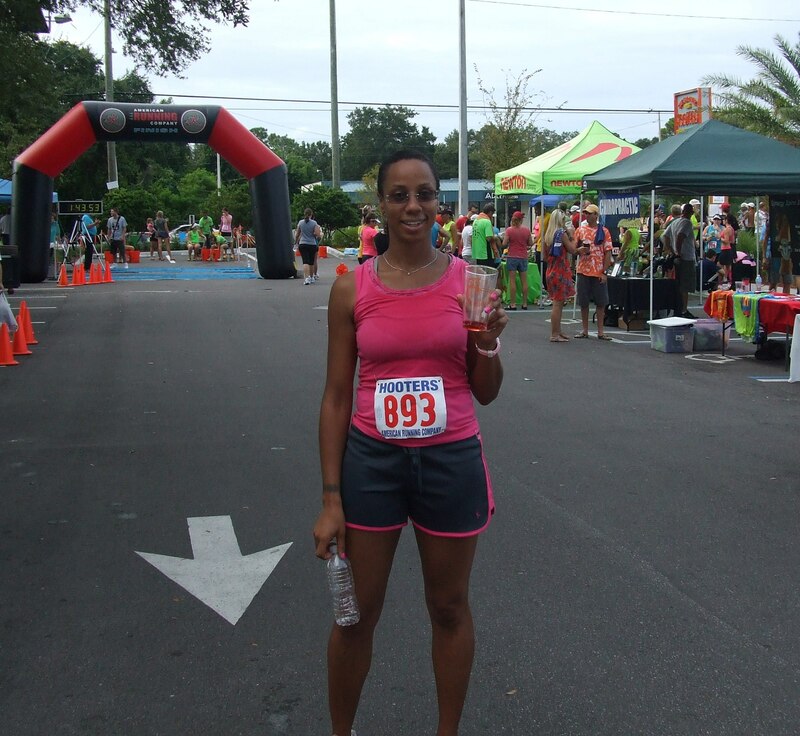 There was a water station and the only reason I stopped was to try to master the drink and run I had read about online. Not a good idea with most of the water spilling on my shirt. Final stretch and the finish line is getting closer and closer. We turn into the parking lot to the finish line where people are lined up and cheering. I cross the line and first thing I hear is “Turn in your chip!” Dang lady. I just finished and I’m out of breath. Give me a second. Of course I didn’t say that but I sure thought it. Snapple wagon was set up with plenty of ice cold flavors. I need pictures. Where are Theresa, Bobby and Mark? They are not good at following directions. I told them I would be back in less than 30 minutes. I finally regain my composure and I see the group walking towards me with Burger King bags. They missed my finish to go get BK breakfast?!? Ugh! This makes race #2 where my support is not at the finish line. For the post race party, I enjoyed some wings and celery. Gave all the beer to Mark. I don’t drink that stuff. Took a few photos and waited around for the awards. I was pleased to win 2nd place in my age division with a time of 24:13. The technical jersey was a nice gift and they awarded Hooters glasses. Turns out I passed the cute, cut up abs girls in their sports bras in the first 100 meters or so. Guess they weren’t so “Bad” after all! 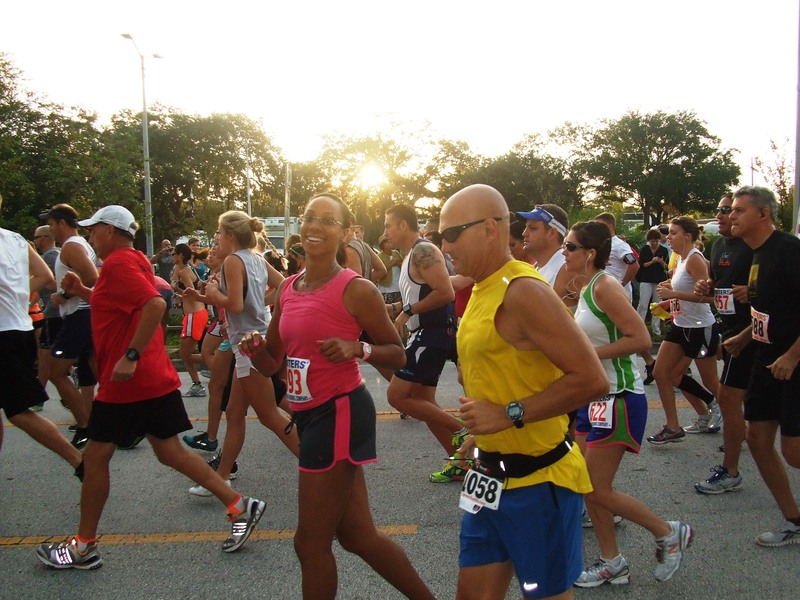 This entry was posted in running, Uncategorized and tagged 5k, Clearwater, Fitness, Florida, health, Hooters 2 Hooters 5k, Running. Bookmark the permalink.